ISLAMABAD -- Recent reports pointing to the formalisation of relations between Iran and the Afghan Taliban are drawing severe criticism from Afghan officials, clerics and security analysts. Such reports highlight Iran's long history of endangering regional security and of hypocritically supporting violent extremist groups -- such as the Taliban and al-Qaeda -- that the Iranian regime is supposedly ideologically at odds with. Evidence of ties between Iran and the Afghan Taliban surfaced in May, when Taliban leader Mullah Akhtar Muhammad Mansoor was killed in Balochistan Province, Pakistan. He was entering Pakistan from Iran at the time of his death, investigators found. Further evidence came last month, when the Afghan Taliban appointed Maulvi Nek Muhammad to be its envoy in Tehran, the Express Tribune reported October 17. Muhammad led the education department during the Taliban's rule of Afghanistan from 1996-2001. In another sign of increasing closeness between Iran and the Afghan terrorist group, a three-member Taliban delegation visited Tehran in search of military aid earlier this year, the Express Tribune added. The Iranian regime has been increasing support for the Taliban over the past decade, mainly to disrupt peace-building efforts in Afghanistan, media reports and interviews with analysts suggest. The move underscores Iran's greater interest in fomenting chaos in the region, rather than in preserving its professed ideological purity, stakeholders say. The co-operation between Iran and the Taliban dates back years and is steadily increasing, Afghan and Western officials say. The Afghan Taliban, which formerly used Pakistan as a recruiting base and headquarters, has found an "important ally" in Iran through its elite Revolutionary Guard Corps, the Wall Street Journal (WSJ) reported in June 2015. As far back as 2007, officials noted that convoys carrying weapons for the Taliban were crossing into Afghanistan from Iran, according to news reports. In June 2013, the relationship took a turn when Tehran formally invited a Taliban delegation to meet with Iranian officials. Later that year, Afghan officials said they had evidence that Iran was training Taliban fighters within its borders. 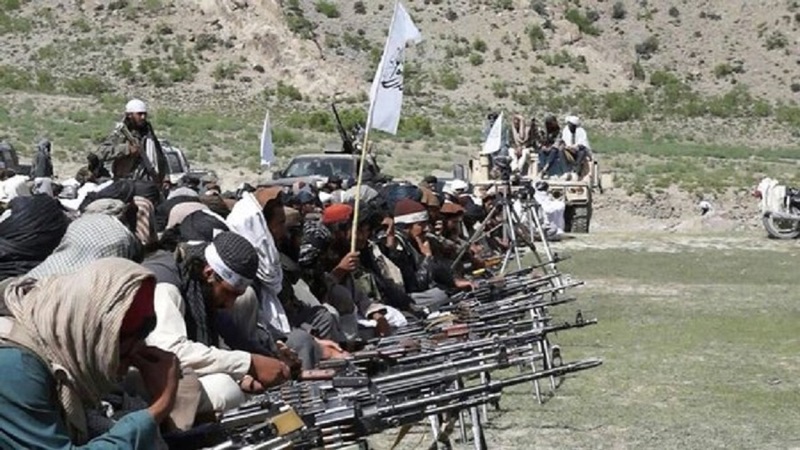 Now there are at least four Taliban training camps in Tehran, Mashhad and Zahedan and in the province of Kerman, according to Afghan officials and Taliban commanders. The Afghan Taliban also operate offices in Zahedan and Mashhad, The Guardian and WSJ reported. "At the beginning Iran was supporting Taliban financially," a senior Afghan official told the WSJ. "But now they are training and equipping them, too." Iran is also targeting Afghan immigrants within its borders, recruiting them to fight with the Taliban. One such Iranian-backed Taliban fighter, Abdullah, said that after he was detained for working as an illegal labourer in the Iranian port city of Bandar Abbas, an Iranian intelligence officer offered to double his salary to $580 (40,235 AFN) per month if he agreed to work for them in Afghanistan, the WSJ reported. "Iran supplies us with whatever we need," he said. Afghan officials and tribal elders who spoke to Salaam Times expressed anger over the havoc that Iran and the Taliban are wreaking in Afghanistan. When Afghan refugees fled to Iran starting in the 1980s, as Soviet occupation and civil war shattered their country, the "Iranian government ... imposed restrictions on and harassed the refugees", said Ali Ahmed Jilani, an official at the Afghan Ministry of Refugees and Repatriation. "Meanwhile, they help Afghanistan's enemies by giving them weapons and funds and letting them open offices in Iran," he told Salaam Times. "It's hypocrisy." Human Rights Watch and other watchdog organisations have corroborated Jilani's contention of Iranian mistreatment of Afghan refugees. The abuses have included physical abuse by law enforcement, summary deportations, severely limited employment opportunities and little access to education. Iran's support of noxious militant groups such as the Taliban and al-Qaeda contradicts its own claims of fighting terrorism, Mullah Sabir Azizi, a Sunni cleric in Nangarhar Province, told Salaam Times. "Iran ... has been creating confusion by supporting globally designated terrorist groups," said Azizi, who also helps the Afghan government in maintaining peace in the province. "In the past decade we have seen that Iran supports terrorists and insurgents even if they are Taliban," Afghan political analyst Fazal Haq Murad told Salaam Times. "They use these tactics to influence Afghanistan." "If someone is supporting the terrorists ... who are killing our people, [he or she] is the enemy of Afghanistan too," Murad said. 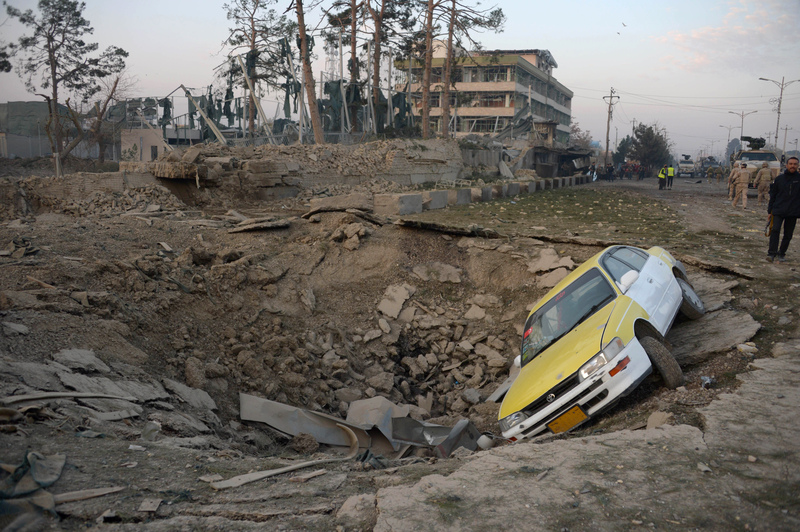 The Taliban bear responsibility for terrorist attacks that are killing Afghans, said Ahmad Zia Rafat, a political science professor at Kabul University. "We have seen that they are supported by Iran," he told Salaam Times. Afghan and coalition forces have repeatedly seized Iranian equipment from dead or captured Taliban fighters, Afghan security analyst Rahmatullah Saihoon told Salaam Times in August. More evidence of Iran's complicity with terrorists came to light July 20 when three senior members of al-Qaeda, all of them based in Iran, became part of a global list of designated terrorists: Faisal Jassim Mohammed Al Amri Al Khalidi, Yisra Muhammad Ibrahim Bayumi and Abu Bakr Muhammad Muhammad Ghumayn. Iran and al-Qaeda have had a relationship since the early 1990s, observers say. Pakistan has its own objections to Iranian misbehaviour, even though Pakistan has been enjoying a dramatic improvement in security after the army launched an offensive in North Waziristan in June 2014. On May 2, Iran passed a law granting citizenship to families of Pakistani militants killed in combat in Syria and Iraq. The move hardly sat well with Islamabad. For years, Pakistan has expressed concerns that Iran seeks to exploit Pakistan's sectarian divide. In a letter dated August 14, 2014, the Pakistani National Counter Terrorism Authority (NACTA) warned provincial governments that the Iranian government was paying for more than 2,000 Pakistani students to study in seminaries in Najaf, Iraq, where they faced "brainwashing ... along sectarian lines". Those students, if radicalised, "could be used against the Pakistani government", NACTA warned. Iran also has been backing sectarian violence in Karachi, a recent report by a Pakistani law enforcement agency revealed. Neighbourhoods such as "Abbas town, Jaffar-e-Tayyar Society, Malir, Ancholi Rizvia, New Golimar and Shah Faisal Colony provide an excellent operational area for Iranian intelligence", the report said. Why Iran would foment terrorism and make common cause with terrorist groups that it supposedly finds anathema is no secret to scholars of the region. "Iran would form an alliance with the devil to further its political interests," Dr. Fathi al-Sayed, a specialist in Iranian affairs at al-Sharq Centre for Regional and Strategic Studies in Giza, Egypt, told Salaam Times. "Iran entered Iraq and Syria on the pretext of putting an end to terrorism in both countries in particular and in the region in general," he said. "But it has proven to have close ties with the Taliban." In addition, sectarian incitement abroad is "synonymous" with Iranian policy, he said. Iran's lethal meddling in Syria has prolonged the conflict, inflamed sectarian tensions and allowed terrorist groups to penetrate Syrian territory, Diyaruna reported in August. Even before war broke out in that country in 2011, Iran inserted combat groups, comprising both Iranian and other nationalities, to suppress protesters, Iranian-affairs specialist Fathi al-Sayed of the Cairo-based Middle East Centre for Regional and Strategic Studies told Diyaruna. General Zia ul haq has provided services to America and created Taliban. And today at the end General Raheel Sharef took strong action against Taliban. To control on oil wells in Iraq and Syria America is playing game by introducing sectarian issue. Saudis and Pakistanis has became the part of this game. Mostly militants of ISIS "Dauish" are related to these countrie. Which were paid by the Saudis. Every one can imagine the roll of Saudis in Yaman. Shortly why Saudis did not yet support of poor Palastinis, Barmis/Mianmar, Nijarians. That why these matters did not enlisted in Americas file . There are only Muslims are under Israel's guns. So Saudis are silent. In Syria and Iraq Saudis/Americans militants are going to fail. So persons sponcered by Saudis/America will propagate about all those who will be resist against Israeli/American/Saudis policies. Iran is playing a treacherous double game: proclaiming to be fighting terrorism in Iraq and Syria while at the same time supporting atrocities across Afghanistan. Iranian special forces are facilitating a six-month training programme for the 'brightest and most able' Taliban fighters in exchange for carrying out the bidding of Tehran. Iran's support of the Taliban is meant to destabilise Afghanistan and undermine international efforts for peace.